Conservation treatment may span a wide range of needs, from structural repairs to smoke and soot removal to aesthetic treatments that include grime removal and often the reduction of aged and discolored varnish layers. The filling and retouching of losses, whether in the paint layers or through the whole painting support, are often part of a painting treatment. Structural treatments encompass tear repairs, reinforcement of deteriorated tacking margins on canvas paintings, and various types of canvas reinforcement that may include canvas inserts in areas where original canvas is severely damaged or lost, loose lining or where necessary, lining an original canvas onto a second fabric support. 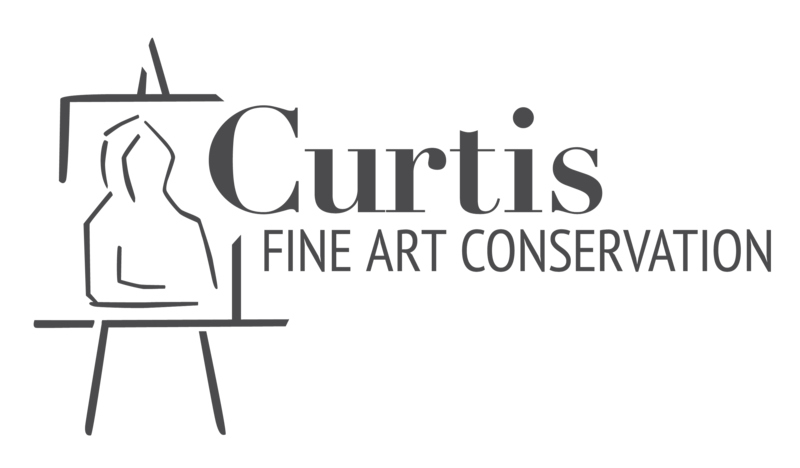 Marla’s philosophy of conservation treatments includes a great respect for the integrity of the original artwork, and a conservative and thoughtful approach to solving condition problems is always sought. 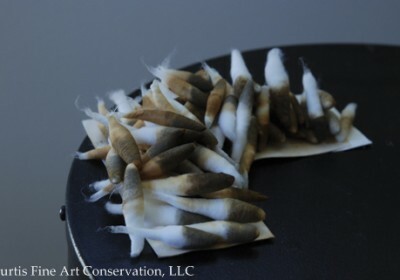 These swabs were the result of cleaning a painting covered with years of dirt, grime, and yellow nicotine.